A warren of partitioned offices, inserted floors and fake heritage features have been added to this building over the years. 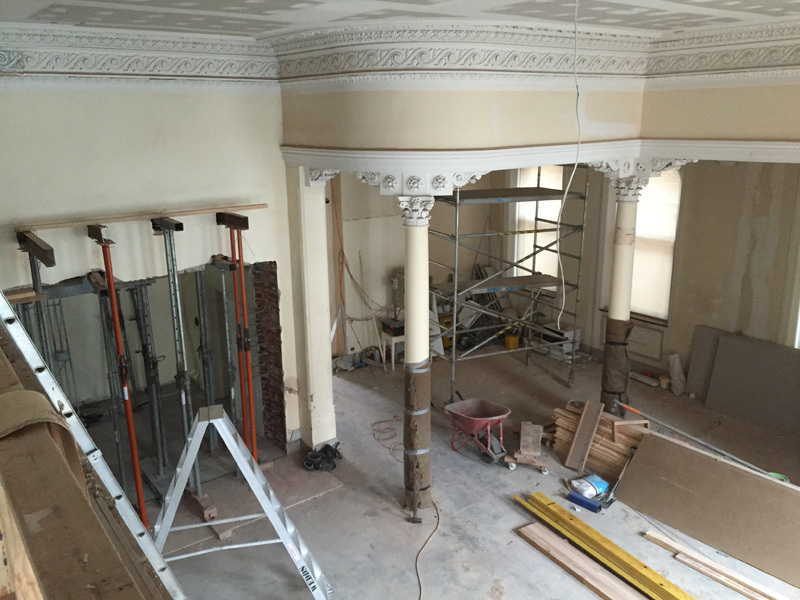 Part of our design works is involved in stripping out all the clutter of these past renovations and revealing the richness of the heritage features of this lovely building. 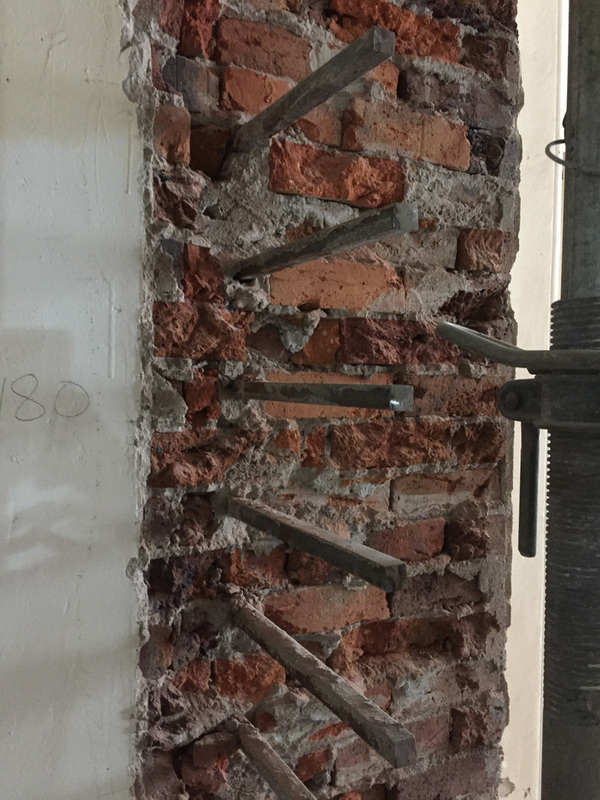 Part of the restorarion works involved in the project is repair of the original cornicing of the building. 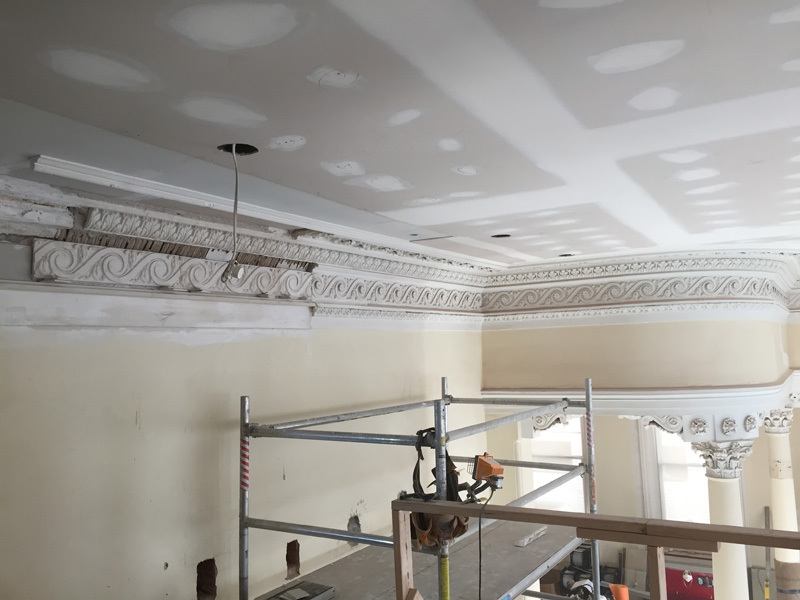 The highly detailed cornice is composed of several different components, all of which require separate moulds formed in order to cast the replacement pieces. The cast moulds are then intricately inserted back into their original locations. 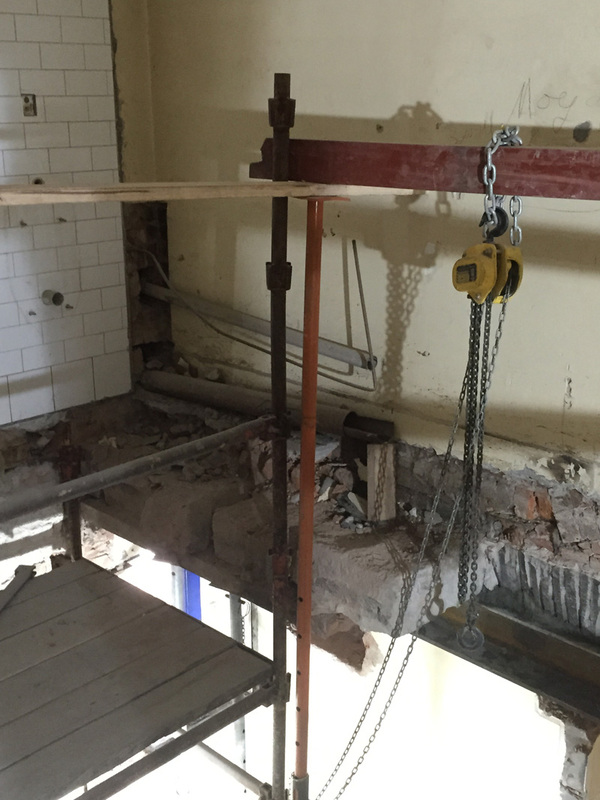 Refurbishment works involve demolishing brick walls of the existing bank vault to create an open office area. 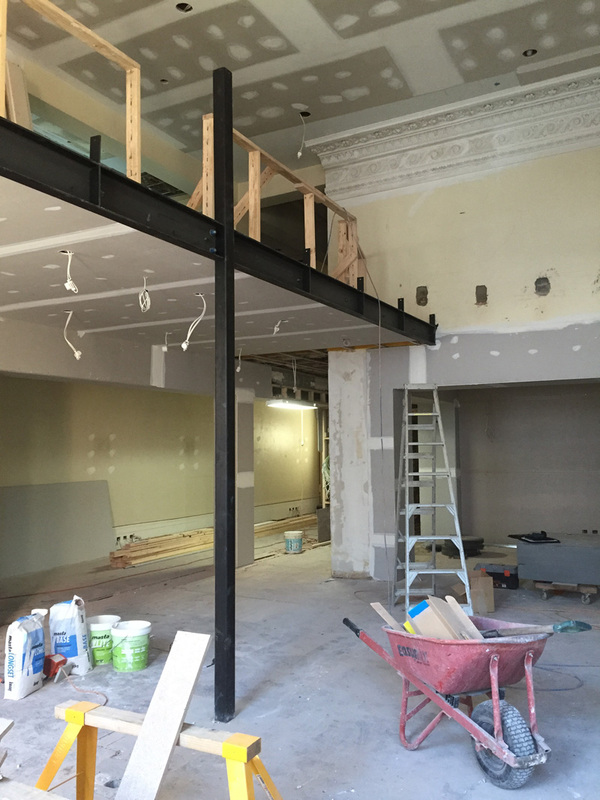 New structures added into this heritage space will be clearly articulated through the architectural design as modern, thereby not diminishing the character of the original building. 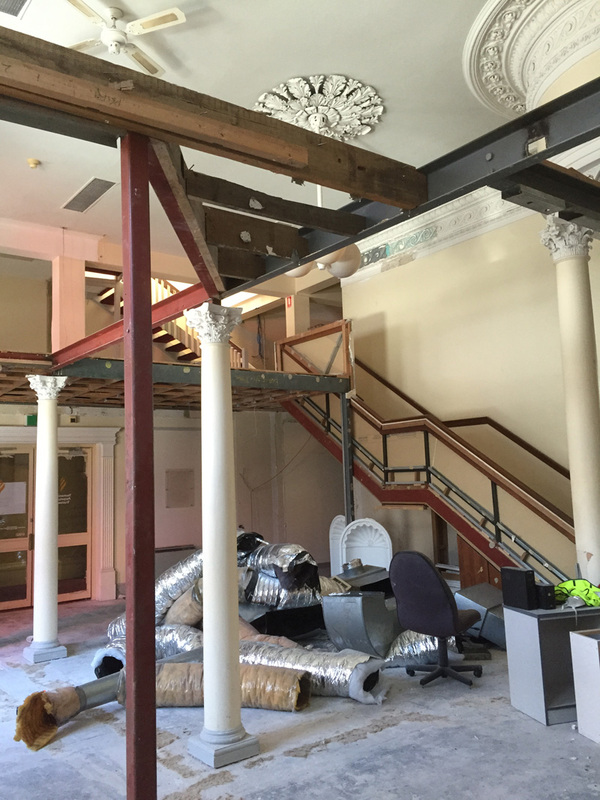 A frameless glass balustrade will later extend across the new mezzanine area created within the ground floor area.